Paschen: Better results from credit unions. 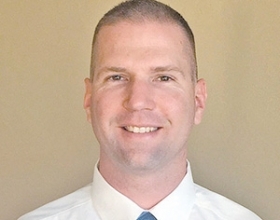 LAS VEGAS -- Bill Paschen, finance director at Tuttle-Click Automotive Group, oversees 45 finance managers at 17 stores in Arizona and California. Tuttle-Click ranks No. 54 on the Automotive News list of the top 150 dealership groups based in the U.S., with retail sales of 15,783 new vehicles in 2014. Paschen, 38, spoke with News Editor James B. Treece at the CU Direct Drive Lending & Marketing Conference here last month. Q: What does Tuttle-Click want in a lender: rapid response times, buying deeper, faster funding? A: Generally what it comes down to is you have a program that is effective for the dealer, not only in being able to put the car on the street but be profitable on the back end, and also the relationship. Basically, the ones we use the most have an aggressive program that allows us to sell our car, make money on the back end, and then when we need them for something, they pick up the phone. They answer. And they find a way to make a car deal versus find reasons to tell us why it’s not a car deal. Do most lenders understand the importance of making money on finance and insurance products? It’s been a slow transition for a lot of our lenders. Some of them get it, and they come right out of the gate with aggressive programs and eliminating roadblocks that used to get in the way, where they would tell you, “We’re only going to give you 100 percent loan-to-value.” Now, most of them offer what they call plusplus programs: plus your tax, plus your title, plus your back end. The banks seem to understand that more so than some of the credit unions. The credit unions are great as far as figuring out loan-to-value for the vehicle itself. They give you one product and they think that’s going to make you happy. What is the target response time? Speed of response is critical. When we submit a deal, typically we have a customer sitting right there. It’s different between a bank and a credit union. I give [credit unions] a little more leeway because I know that it’s predominantly a human being on the other end who’s going to look at it, and I might actually get better [terms] as a result. Most banks have already built their matrix. They have a program that’s going to say yes on your 680 and above-type paper. So for a bank, my expectation is typically five minutes. Which seems unreasonable, but five minutes to a customer is a very long time. It feels like half an hour. It’s not that I need you to finish making a decision on a deal, but I would expect you to make contact with me. Let me know you’re working on it. With a credit union, due to the fact that they’re generally smaller size, they don’t have massive buying centers: 10 to 15 minutes. If it’s something that’s really urgent for me, I’ll pick up the phone myself and make that first contact. Generally speaking, I get better results out of my credit unions because they actually still look at the human factor. This person had something happen in their past, and it doesn’t make them a bad person. They’re not a credit criminal. They actually know the customer? What a concept. Making a person a person again is critical. I think that’s going to be what defines who’s successful in the future and who’s not: that lender that can actually make a person a person. Training is tough when turnover is high. What works to reduce F&I personnel turnover? I would rather have them produce a lower dollar per car — temporarily, obviously — until they learn how to go through all of their paperwork properly, not cause a customer to have to come back and recontract because they missed something or something was signed incorrectly. When you are clean, you have time to spend with the customer. And when you have time to spend with the customer, then you have your opportunity to earn your money. When you’re brand-new, it’s very frustrating. A lot of paperwork, a lot to remember. If all you’re focusing on is producing profit, you’re going to make mistakes and then you’re going to have two, three, four, five deal jackets stacking up on top of each other with mistakes. Eventually, it’s going to become so overwhelming, with correcting paperwork and recontracting, that you don’t have time for your next customer, and your mind becomes dominated by the fact that you have all this paperwork to clean, and you end up failing. So cleanliness is the first step to longevity in F&I.